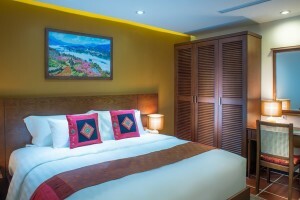 Our 4 star deluxe hotel in Sapa offers 57 accommodation consisting of 39 superior rooms, 9 deluxe rooms, 3 junior suites and 6 suites and available in both king and twin configurations as well as connecting rooms for families. 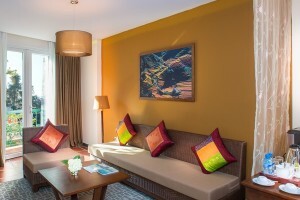 Another 18 more rooms will be available in December 2014. 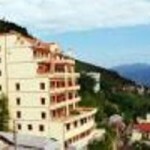 In order to make your stay in Sapa unforgettable, our deluxe Hotel offer other facilities like : Bellevue, an all day dining restaurant, Dejavu, a bar, a café, a gym and library. A spa with five treatment rooms will open later in mid 2015. 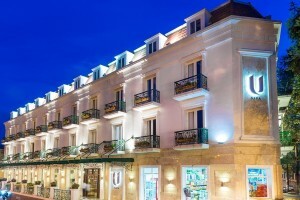 U’s unique concept of service including the 24 hour room which will allow guests to enjoy their room for 24 hours from arrival as well as breakfast whenever/wherever during the stay, international and local calls at cost, pre-select amenities such as pillow, tea and soap that guests can select from our online U Choose programme and more. 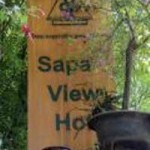 This all ensures that guests have a totally relaxing holiday experience at U Sapa Hotel to recharge and reconnect with the local environment and its beauty, bringing back with them the most memorable moments of a life time. 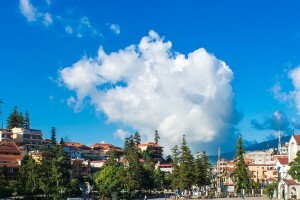 Deluxe express train are available from Hanoi to Lao Cai as well as car/van transportations from Lao Cai to Sapa. 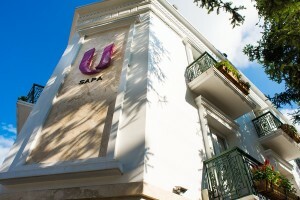 U Sapa Hotel includes 57 accommodations consisting of 39 superior rooms, 9 deluxe rooms, 3 junior suites and 6 suites and available in both king and twin configurations as well as connecting rooms for families. Another 18 more rooms will be available in mid 2015. 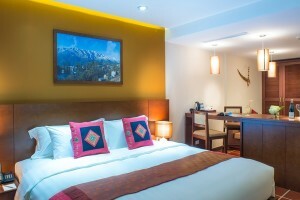 U Sapa Hotel offers luxury rooms with deluxe amenities including bathrobes, slippers, hair dryer, coffee/tea making facilities, mini-bar, individual controlled air/heater, IDD telephone, LCD television with satellite feed and deluxe channels, Wi-Fi internet access in room and safety box. 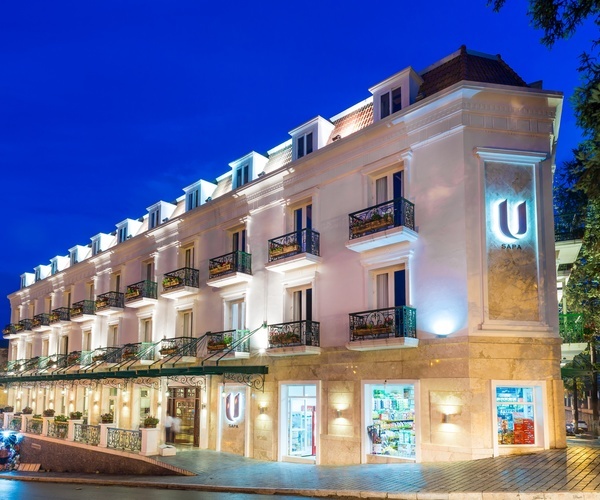 30 sqm superior rooms at U Sapa offers deluxe amenities including bathrobes, slippers, hair dryer, coffee/tea making facilities, mini-bar, individual controlled air/heater, IDD telephone, LCD television with satellite feed and deluxe channels, Wi-Fi internet access in room and safety box. 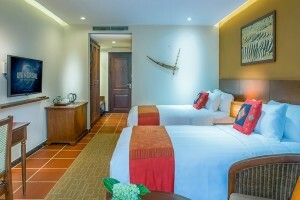 35 sqm deluxe rooms at U Sapa offer deluxe amenities including bathrobes, slippers, hair dryer, coffee/tea making facilities, mini-bar, individual controlled air/heater, IDD telephone, LCD television with satellite feed and deluxe channels, Wi-Fi internet access in room and safety box. 50 sqm junior suites at U Sapa offer luxury living space with deluxe amenities including bathrobes, slippers, hair dryer, coffee/tea making facilities, mini-bar, individual controlled air/heater, IDD telephone, LCD television with satellite feed and deluxe channels, music selection, Wi-Fi internet access in room and safety box. 50 sqm suites at U Sapa offer luxury bedroom with separated living space and deluxe amenities including bathrobes, slippers, hair dryer, coffee/tea making facilities, mini-bar, individual controlled air/heater, IDD telephone, LCD television with satellite feed and deluxe channels, music selection, Wi-Fi internet access in room and safety box. 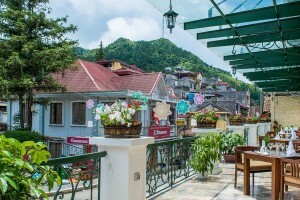 For dining experiences, U Sapa restaurant offers unique choices of menu items at the restaurants and bar for both residential guests and outside patrons. An all day dining restaurant located on the ground floor of the main building with an outdoor terrace, serving buffet breakfast and a la carte for lunch and dinner. The cuisine focuses on using the freshness of ingredients and local produce. Located in the Chapa Garden Wing, serving coffee, tea and snacks. This restaurant will open in 2015. 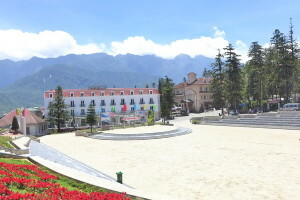 A relaxing atmosphere bar providing games, innovative snacks and cocktail menus for guests to enjoy and cool down after sightseeing in Sapa. Before or after enjoying our spa there is also the possibility to use our gym. 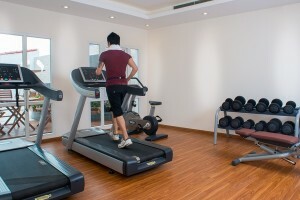 At U Sapa Hotel, the fully equipped wellness gym is also available for your routine workout even on your holiday. 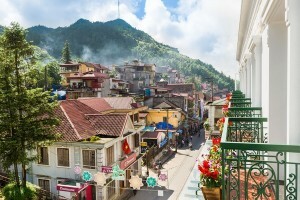 With its luxury carriages, the Chapa Express Train together with U Sapa offers every visitor a wonderful travelling experience to Sapa. 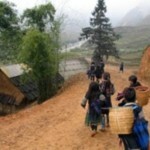 The train departs every day, linking Hanoi to Lao Cai. 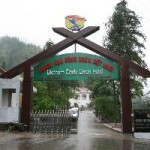 The Chapa Express Train is a 8.5 hour trip from Hanoi to Lao Cai, accommodating up to 28 passengers 7 superior cabins (4 berths) which can transfer to deluxe cabin (2 berths), all are air-conditioned, wood panelled, with individual reading lights, baggage storage and oversized windows. Meals onboard are not included in the ticket. Hanoi Railway Station: 1 Tran Quy Cap Street, Dong Da District, Hanoi.